The use of services from EbixLive Technologies [hereafter referred to as "EbixLive"] constitutes agreement to these terms. 1. All services provided by EbixLive may only be used for lawful purposes. The laws of the State of Florida, the State of Texas, the United States of America, and India apply. The customer (you) agrees to indemnify and hold harmless EbixLive, officers and/or staff from any claims resulting from the use of our services. Use of our services to infringe upon any copyright or trademark is strictly prohibited. This includes but is not limited to unauthorized copying of music, books, photographs, or any other copyrighted work. The offer of sale of any counterfeit merchandise of a trademark holder will result in the immediate termination of your account. If you believe that your copyright or trademark is being infringed upon, please email the abuse department with the information required. If the request is of a licensing issue, we may require further documentation. No refunds will be given. A. Examples of unacceptable material include: IRC Bots, Proxy Scripts, Anonymizers, Pirated Software, Warez, image hosting only sites that do not host an actual domain/normal website content, Escrow, High-Yield Interest Programs(HYIP), Bank Debentures, Bank Debenture Trading Programs, and Prime Banks Programs, lottery sites, muds, rpg's, hate sites, hacker focused sites/archives/programs, sites promoting illegal activities. No refunds will be given. A. We take a zero tolerance stance against sending of unsolicited e-mail, bulk emailing, and spam. "Safe lists" and "double opt-in" will be treated as spam. Any user who sends out spam will have their account terminated with or without notice. No refunds will be given. B. Mailing Policy and Limits: There is a 60 hourly outbound email limit per domain this limit is also applied towards mailman. If you send over this amount in any hour most of the e-mails will bounce back with an undeliverable error. Many of our servers have a 30 pop checks per hour limit per domain. If you go over this you are likely to get a wrong password error message saying login incorrect. Just wait an hour and it will automatically unlock you. To prevent this from happening again make sure to disable auto checking or at least set it to something higher such as 10 minutes. E. Any mailing list over 900 emails is only allowed to be sent during off-peak times to prevent high server loads. Off peak times qualify as all day Saturday and Sunday, and 1am - 8 am eastern time M-F.
F. You are not allowed to mail to a mailing list you were given or purchased. This is spamming because they never agreed to you personally sending them mail. We do not care how you justify it, this is spam and will result in termination of the offending account. No refunds will be given. G. Any unsolicited e-mail being sent will result in termination of the offending account. We take a zero tolerance stance against sending of unsolicited e-mail. No refunds will be given. H. Every mailling list MUST comply with all guidelines set forth by the United States of America. I. Sites advertised via SPAM (Spamvertised) may not be hosted on our servers. This provision includes, but is not limited to SPAM sent via fax, email, instant messaging, or usenet/newsgroups. No organization or entity listed in the ROKSO may be hosted on our servers. Any account which results in our IP space being blacklisted will be immediately suspended and/or terminated. No refunds will be given. J. EbixLive reserves the right to require changes or disable as necessary any web site, account, database, or other component that does not comply with its established policies, or to make any such modifications in an emergency at its sole discretion. EbixLive reserves the right to charge the holder of the account used to send any unsolicited e-mail a clean up fee. This cost of the clean up fee is entirely at the discretion of EbixLive and will not be less than $50 or $50 each man hour of time utilized, whichever is greatest. A. You agree to supply appropriate payment for the services received from EbixLive, in advance of the time period during which such services that are provided is due. You agree that services will continue to be charged unless you notify EbixLive of your desire to cancel any and/or all services received, those services will be billed on a recurring basis according to your current pricing structure (i.e. domain fees, hosting fees). Cancellations must be done in writing via the account services support department. B. EbixLive reserves the right to change any and/or all fees at anytime. Your use of the services rendered is at your sole risk. EbixLive is not responsible for files and/or data residing on your account. You agree to take full responsibility for files and data transferred and to maintain all appropriate backups of files and data stored on EbixLive servers. Your server may or may not have automatic backups installed. Servers that have automatic backups are generally done on Sunday. Backups can be made through cPanel. You (Customer) are allocated a monthly bandwidth usage. This allowance varies depending on the web hosting service you purchase. Should your account pass the allocated amount we reserve the right to suspend the account until the start of the next billing cycle/allocation, suspend the account until more bandwidth is purchased at an additional fee, suspend the account until you (customer) upgrades to a higher level of service, terminate the account and/or charge you an additional fee for the overages. Unused bandwidth in any one month of service cannot be carried over to the next month. The uptime of a server is defined as the reported uptime from the operating system of the server which may differ from the uptime reported by individual services. EbixLive cannot 100% gaurantee the uptime status of any server for many factors which may include but not limited to udates to software, malicious or intentional activities, hardware failure, acts of God defined as conditions beyond our (EbixLive and/or our vendors that provide equipement or services to us) control that interupts services at a facility. Shared hosting accounts may not resell web hosting to other people, if you wish to resell hosting you must use a reseller account. EbixLive reserves the right to reset the password on a VPS if the password on file is not current so that we may do security audits as required by our datacenter. It is the responsibility of the client to ensure that there is a valid email address and current root password on file for their dedicated server on file to prevent downtime from forced password resets. EbixLive reserves the right to audit servers as needed and to perform administrative actions at the request of our datacenter. The amount you pay for hosting will never increase from the date of purchase for the term of contract (if said contract exists and is validated by EbixLive). EbixLive reserves the right to change prices for services at any time. Furthermore, we reserve the right to change prices listed on EbixLive.com, and the right to change the amount of resources given to any plan at any time. A. Any injury to person or property caused by any products sold or otherwise distributed in connection with EbixLive. B. Any material supplied by customer infringing or allegedly infringing on the proprietary rights of a third party. D. Any defective products sold to customers from a EbixLive operated server. EbixLive shall not be responsible for any damages your business may suffer. 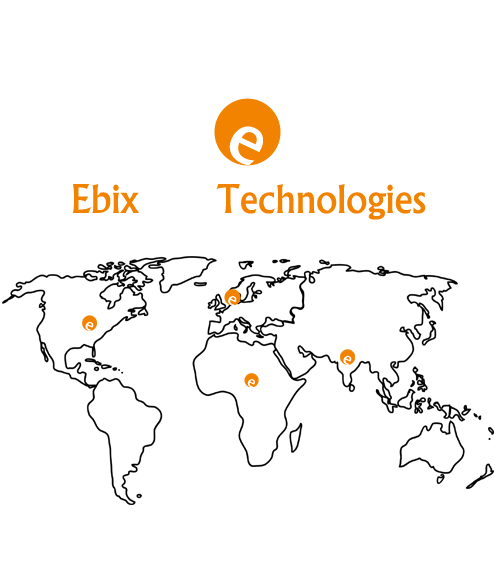 EbixLive makes no warranties of any kind, expressed or implied for services we provide. EbixLive disclaims any warranty or merchantability or fitness for a particular purpose. This includes loss of data resulting from delays, no deliveries, wrong delivery, and any and all service interruptions caused by EbixLive and its employees. EbixLive may disclose any subscriber information to law enforcement agencies without further consent or notification to the subscriber upon lawful request from such agencies. We will cooperate fully with law enforcement agencies. EbixLive reserves the right to revise its policies at any time without notice. EbixLive is a leading web hosting company. Our objective is to provide "Best Quality Services" at unbelievably low rates with harnessed superior technology with many innovative measures to ensure QoS commensurate with World Standards. Copyright © 2017 EbixLive - all right reserved.